Author and writing instructor James Scott Bell mirrors the ancient strategic guide The Art of War in this 2009 book, discussing reconnaissance (preparing to write), tactics (writing advice), and strategy (how to get published) in short, sharp bursts of wisdom and example. Dorothea Brande was far ahead of her time when she wrote this book in 1934. Instead of writing a nuts-and-bolts guide, she focused on the qualitative aspects: artistry, self-actualization, the role of the unconscious mind, and more. Nancy Kress’s 2011 book is more suited for aspiring writers than more seasoned ones, but it is full of suggestions and techniques for hooking the reader from the first sentence and sustaining interest from scene to scene all the way through to the end. Anne Lamott’s autobiographical writing guide from 1995 isn’t for everyone, but it’s full of honest, humorous reflections about the writing life, with frank, funny admissions that give you permission to be human, too. Longtime novelist and fiction editor Sol Stein’s 1999 guide is predicated on his belief that writers must focus not on themselves but on their readers. Despite the apparently self-aggrandizing title, his 2000 follow-up, Stein on Writing: A Master Editor of Some of the Most Successful Writers of Our Century Shares His Craft Techniques and Strategies, is also highly recommended. Jordan Rosenfeld’s 2007 guide to constructing a great story scene by scene analyzes examples representing a wide variety of styles and types of scenes, demonstrating how the narrative arc, character development, and other elements of fiction writing are all dependent on well-constructed vignettes. Novelist and writing instructor Raymond Obstfeld, like Rosenfeld, emphasizes how skillfully crafted scenes are the heart of a successful story. 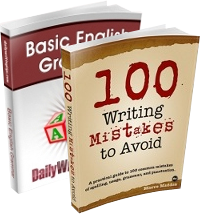 This comprehensive guide from 2000 is suitable for novices and experienced writers alike. Though much of Stephen King’s 2000 tome is autobiographical, it also contains many useful tips for writers, from technical matters such as grammar to thoughts about character and plot. A valuable element is a section that includes a rough draft and an edited draft of one of his stories. Even if you consider King a middlebrow writer, you can’t deny that he is a master of his craft, and we should be so fortunate. 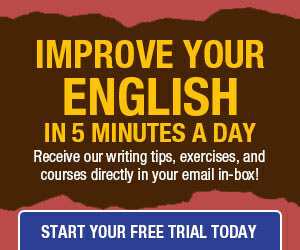 Veteran journalist, nonfiction writer, and writing instructor William Zinsser, a champion of word economy, writes, “Writing improves in direct ratio to the number of things we can keep out of it.” This book, first published in 1974 but timeless, reinforces that credo; also check out his more recent guide, Writing to Learn. Unlike most guides on this list, Renni Browne and Dave King’s 1993 work focuses not on the craft of writing but on the next step: editing your own work. The authors discuss dialogue, interior monologue, exposition, point of view, and other elements of story, with examples, exercises, and checklists. Based on a writing workshop offered by legendary science fiction author Ursula K. LeGuin, this 1998 collection of discussions and writing exercises includes such tasks as eschewing punctuation or adjectives and adverbs, or halving a story’s word count. The exercises in Brian Kitely’s therapeutic 2005 book are designed to help writers overcome emotional obstacles to productivity and get out of writing ruts. Poet Rebecca McClanahan, in this 1999 publication, provides writing instruction and writing exercises along with excerpts and advice from greater writers to help others develop their observational skills and descriptive powers. In this 1986 book, Natalie Goldberg suggests taking a Zen approach to writing, expanding on the concept of free writing to suggest what she calls writing practice. Like free writing, writing practice involves unstructured, uninhibited writing exercises, but is also about self-reflection. Writer Ann Rittenberg and agent Laura Whitcomb team up to teach you all you need to know about the writing process and the publishing business. Their 2006 guide offers lots of useful advice about how to prepare your story even before you begin to write, and how to submit proposals, decipher submission guidelines, and more. I love your list! Another book I have thought was good was Julia Cameron’s The Artist Way. It isn’t specific to writing, but it is great for a person who just can’t get started and just needs to get over their fear in writing. Thank you for great recommendations! Great list!! I have a few of the books on here and love them. I’d highly recommend adding a 16th book to your list, however–Story Engineering: Mastering The 6 Core Competencies of Successful Writing, by Larry Brooks. It just came out last month and as far as I see it, it’s the last book about writing I’ll ever need to buy. I have a copy of each of the books in the “Elements of Fiction Writing” series that you mention. Mine are the older hardcover versions, but I presume the text is exactly the same. They are extremely helpful, and I’ve used them for help on many occasions. I also have Ursula K. Le Guin’s “Steering the Craft”, but I haven’t gotten around to using the exercises in it yet. I’m planning to show it to my writing group, though. Fantastic and really useful. Will tweet to our followers. Good list of tips – loving the Pressfield one all over again. Read it many times. (Hey I even have a First Edition – woo hoo!). Another one that should be there IMO is The Writer’s Journey by Chris Vogler. If you don’t know it’s a book on how to structure your stories using the Hero’s Journey. For Stephen King fans there are also some tidbits on writing that you can pick up reading Dance Macabre. It helps though if you like horror and science fiction – as that’s what it’s about. Thanks, this is an awesome list! I also enjoyed reading (and using) Gardner’s ‘The Art of Fiction’ a lot. “On Writing Well” is outstanding — I would highly recommend it to anyone who wants to choose just one or two books from this list. Zinsser’s own writing is fluid and effortless, a good model to live up to. He earns his place as a trustworthy teacher.